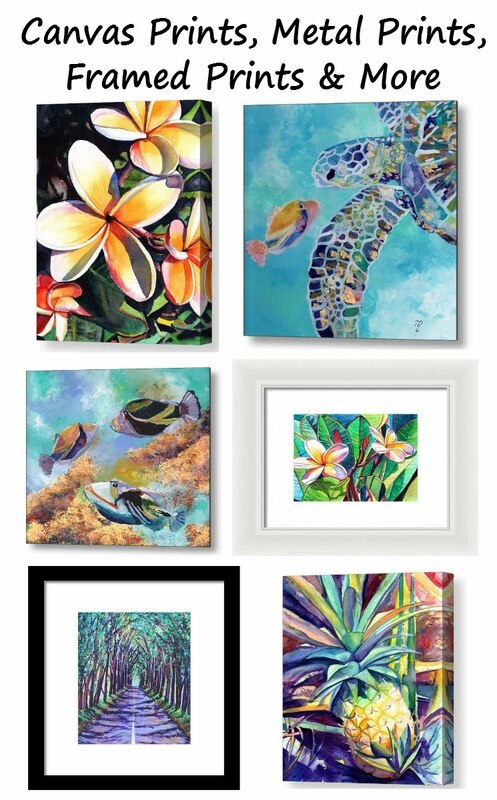 During the first weekend of the Open Studio Tour, Marionette will have her studio open to the public on October 12 and 13 from 11am to 5pm and she will have as her guest artist, Anna Skaradzinska, who is famous for painting faces on palm fronds. 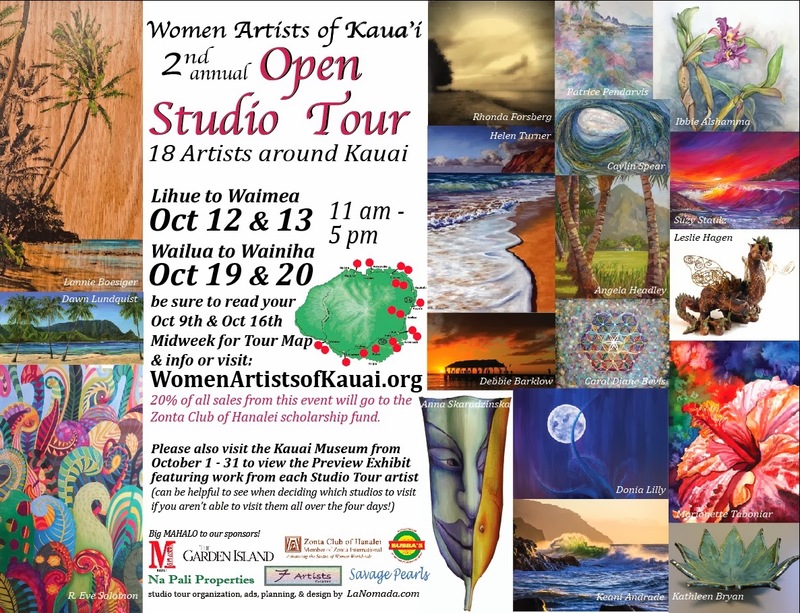 Please stop in for some fun pupus and to talk story with the artists. We will be demonstrating our techniques too!! 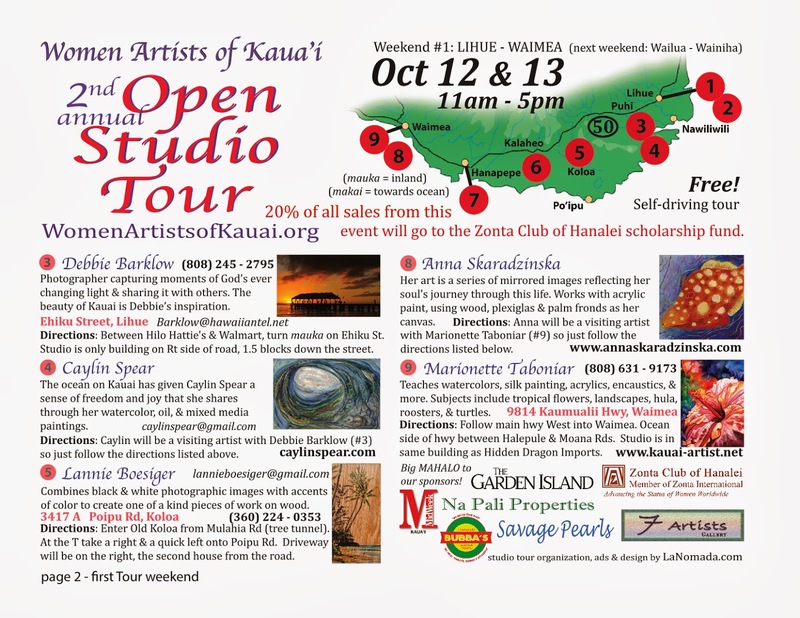 A complete map of the Open Studio Tour including the north shore on Oct. 19 & 20 (4 pages) can be printed by following this link http://www.kauai-artist.net/wak.html. 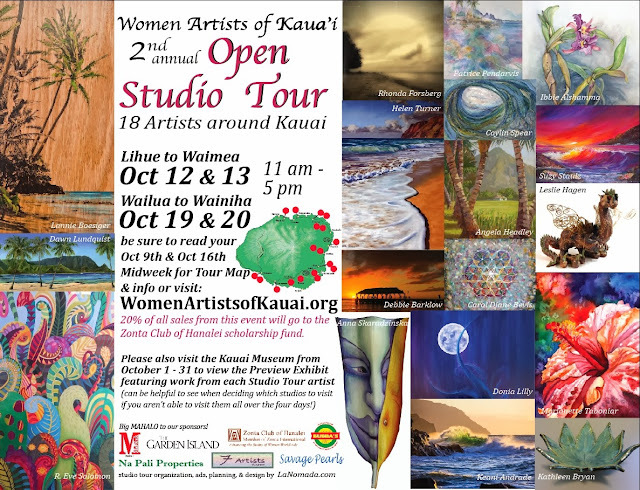 We also have a month long "Preview" exhibit at the Kauai Museum during the entire month of October. 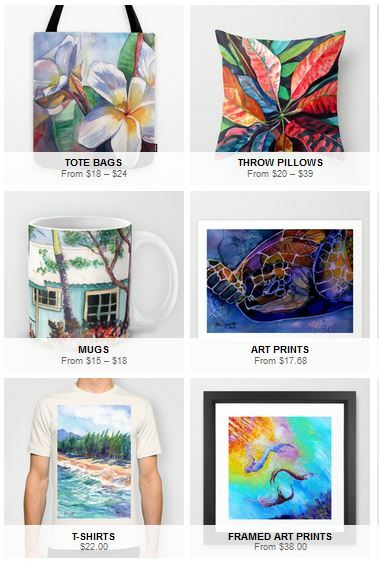 The pieces will be available for viewing during the museum's normal business hours.